March 15, 2011 November 17, 2011 A Woman and Her Pen! Not knowing who you are will make you become someone else. Whether if being you hurts, makes you laugh or makes you cry – Just Be You. If everyone in the world “picked” someone else to be, there would be a “higher number” of imposters in the world. There would also leave no room for honesty, honor, loyalty and trust. How? 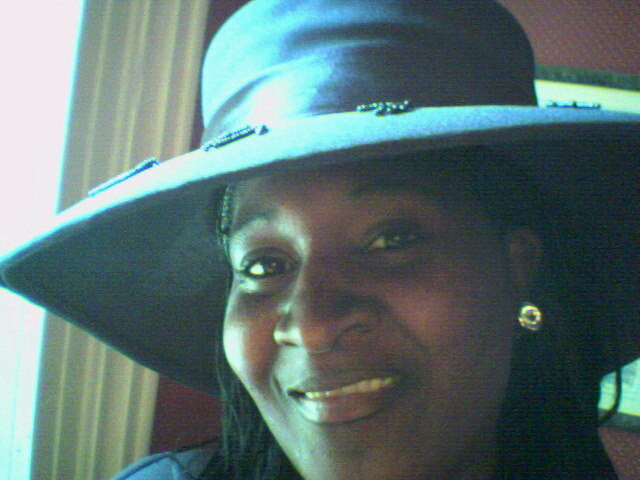 Well if you met me and I am telling you that “my name is” Valarie D. Coleman / Valarie Cole / V.D. Coleman BUT I am talking like Hillary Clinton, dressing like Michelle Obama, walking like The Queen of England, living like an Omish woman, eating like a size 2 model etc. etc. etc. The point is, when will you EVER meet, fellowship and know V.D. Coleman? If I am being at least 3 or 4 people and you have everyone else doing the same thing – we are all walking around being who and doing what? At the end of EVERYDAY, you are you. You wake up being YOU, you go through your day being YOU, You come home being YOU and you go to sleep at night being YOU. So why not enjoy being you? You have to take the time and find out who you are so you are able to see what you like and what you do not like about yourself…. bottom line, that is why individuals try to become other people or grasp onto charachteristics of them. Man is least himself when he talks in his own person. Give him a mask, and he will tell you the truth…..
Don’t live somebody else’s life. Your own should last you a lifetime! Individuality is the definition of freedom……. This is who I am. Nobody said you had to like it………………..
Be who you are and say what you feel, because those who mind don’t matter and those who matter don’t mind…………..
Folks may call you different, they may say that you can’t win, but it’s not what’s on the outside – It’s what you have within! Previous postTake A Break and Ask Yourself……How Many Times? I would like to express some thanks to this writer for rescuing me from such a instance. Because of browsing through the the net and finding principles which were not helpful, I figured my entire life was gone. Living minus the approaches to the problems you’ve sorted out as a result of this post is a crucial case, and ones that would have badly affected my entire career if I had not discovered your web page. That expertise and kindness in handling every part was valuable. I don’t know what I would’ve done if I hadn’t come across such a step like this. I can at this time look ahead to my future. Thank you very much for this skilled and amazing guide. I won’t hesitate to propose your site to anyone who desires guide about this subject. I give all glory ……all CREDIT to God…. Im glad that what you read helped you!!!!!! Please know that even when you have hard times and not so good days…..that throwing in the towel should NEVER be your option., You are stronger than you even realize my friend! !